Free Market Pantry Pasta with 2 Ragu Pasta Sauce Purchase for $1.23 at Target! 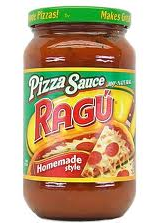 Target is having a sale right now when you buy 2 Ragu Pasta Sauce ,Combine Target Coupon with Manufacturer Coupon to crab this item for $0.62 each + Free Market pantry Pasta! 6.Pay $1.23, Receive Free Market Pantry Pasta. 7.Final Price for each item $0.62 + Free Market Pantry Pasta ! Free Glade Expressions Oil Diffuser and Refill with Glade Jar Candle Purchase for $0.66 at Target! Free L’oreal Hair Care Products at Rite Aid!